February is shaping up to be a fantastic month for YA, with much-anticipated second books from Angie Thomas, Karen McManus and Alison Evans all hitting our shelves, as well as some intriguing new fantasy titles. Find our February picks for kids books here. Brianna is 16 and an aspiring rapper, hoping to follow in the footsteps of her famous rapper dad, who dies as a victim of gang warfare. Bri is full of talent and passion, but faces challenges at home, in school, in the music industry and in the Garden Heights community. The family is beset by extra financial pressure when her mother loses her job, and Bri has to contend with romantic, friendship and parental friction, all the while documenting her frustrations in lyrics. 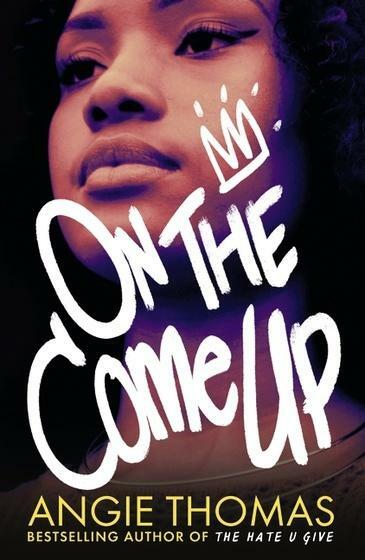 On the Come Up is the second novel from bestselling The Hate U Give author Angie Thomas, and one of the year’s most hotly anticipated releases for ages 13 and up. The zombie apocalypse has hit Australia with full force in Ida author Alison Evans' second novel. Dee and the members of her band emerge from a secluded bush cabin to find the nearby towns deserted. Jojo and their sister Rhea struggle with the complete breakdown in communications: no social media, limited TV and no phone signal. And Eve, a young trans woman, finds affirmation and love. These three groups of queer and gender non-conforming teens overlap and converge in this visceral, post-apocalyptic adventure. Our reviewer Kealy greatly enjoyed Evans' deft storytelling: ‘While trying to find answers, and ultimately survive, the teens are made to navigate issues of friendship, gender, and identity.’ For ages 14 and up. Readings staff loved Karen McManus' debut One of Us is Lying, so we’re chuffed we haven’t had to wait long for her second teen murder mystery, Two Can Keep a Secret. Twins Ellery and Ezra have been sent to live with their grandmother in the small town of Echo Ridge, the town where their mother Sadie grew up, and also the place that their aunt disappeared from when she was 17. The twins are greeted on arrival by the discovery of a local teacher’s dead body, and that’s not the only sinister recent occurrence in Echo Ridge. Disturbing vandalism, a missing cheerleader, a local theme park formerly known as Murderland … True-crime fan Ellery gets drawn into Echo Ridge’s mysteries in a truly dangerous way. Our reviewer Kim says: ‘There are twists galore and readers will be guessing ’til the very end. It’s everything you want from a teen mystery.’ For ages 13 and up. Martha has a strange talent – she can read people by touching their clothes, as if the material has absorbed their emotions and memories. Her talent started on the island of Skjebjne where her mormor (grandmother) lives; and ever since, Martha’s mother has tried to keep Martha away from her mormor. Desperate for answers, Martha runs away. But when she arrives at her mormor’s cabin, there is a strange boy living there. Our reviewer Dani relished this Nordic myth-inspired novel: ‘ The Twisted Tree is relentlessly creepy. As each mystery is solved another three or four are uncovered, causing you to read even faster, leaning into the book, desperate to find out what’s happening…’ For ages 13 and up. Three siblings are transported from Blitz-era London to a fantasy kingdom in Laura Weymouth’s The Light Between Worlds. Ten-year-old Evie wishes herself, her big sister Phillippa and brother James away to the magical Woodlands, a kingdom on the brink of its own upheaval and conflict. Six years later, when they are jolted back to London without any time having passed, the siblings struggle to readjust. Philippa is relieved, but Evie grieves for the magical place she called home. Our reviewer Athina loved this homage to Narnia: ‘A mesmerising and lyrical tale laced with the poetry of such greats as Tennyson and Dickinson, this is a must for those who enjoy magical realism, beautifully realised.’ For ages 14 and up. We’re pumped about a whole new year of books, so we’ve put together a list of exciting YA books to look out for in 2019. Read and watch your TBR list explode! At last week’s Victorian Premier’s Literary Awards, authors Ambelin Kwaymullina and Ezekiel Kwaymullina were awarded the Prize for Writing for Young Adults for their joint novel Catching Teller Crow. The winners of the prestigious American Library Association (ALA) awards were recently announced. The Michael L. Printz Award for excellence in literature written for young adults was awarded to The Poet X by Elizabeth Acevedo. You can see a full list of winners here. Our #LoveOzYA events calendar has kicked off this year, with an in-conversation with Emily Suvada about This Cruel Design, the second book in her This Mortal Coil series, as well as the launch of Alison Evans' Highway Bodies. Looking ahead, join us on Thursday 14 February 2019, 6:30pm at Readings Kids, as Ellie Marney launches the third thrilling book, Misrule, in Jodi McAlister’s page-turning Valentine series. Free, no booking required.